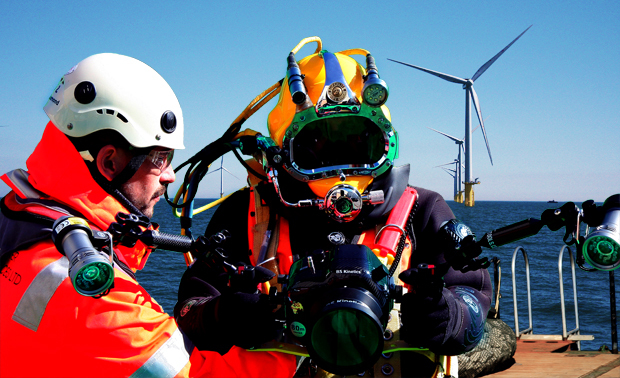 For over 25 years our company has delivered a high quality underwater NDT inspection service for marine infrastructure and vessel stakeolders. Approved by Lloyds and DNV for underwater class inspection, Shearwater has provided services for ferry companies, workboat and tug operators, seagoing freighters and tankers at various ports through Scotland and the UK. Over the last 25 years our divers and engineers provide an excellent infrastructure inspection service, specialising in harbour inspections covering steel sheet piles. Tubular piles and timber piles. Some contracts are held on a rolling basis, requiring the provision of inspection services 365 days a year. We are regular inspectors of bridge structures for various regional councils and have completed inspections of assets for the likes of Scottish National Heritage in remote areas such as St Kilda. Shearwater Marine Services was founded in 1992 and offer a comprehensive range of marine engineering solutions above and below the waterline. With almost 25 years of experience, we have an outstanding reputation for providing a professional and competitive service for all of our customers.